As we come to the end of July, the crossover of the French July and August holidaymakers means millions of car drivers moving across the country over the next couple of weekends – either starting their holiday or returning home. A week tomorrow – Saturday 4th August 2012 – is the only day of the year when traffic monitor Bison Futé issues its “Black Alert” meaning more than 600km of jams are forecast. The national record of 842km of traffic jams was reported on Black Saturday August 4, 2007. 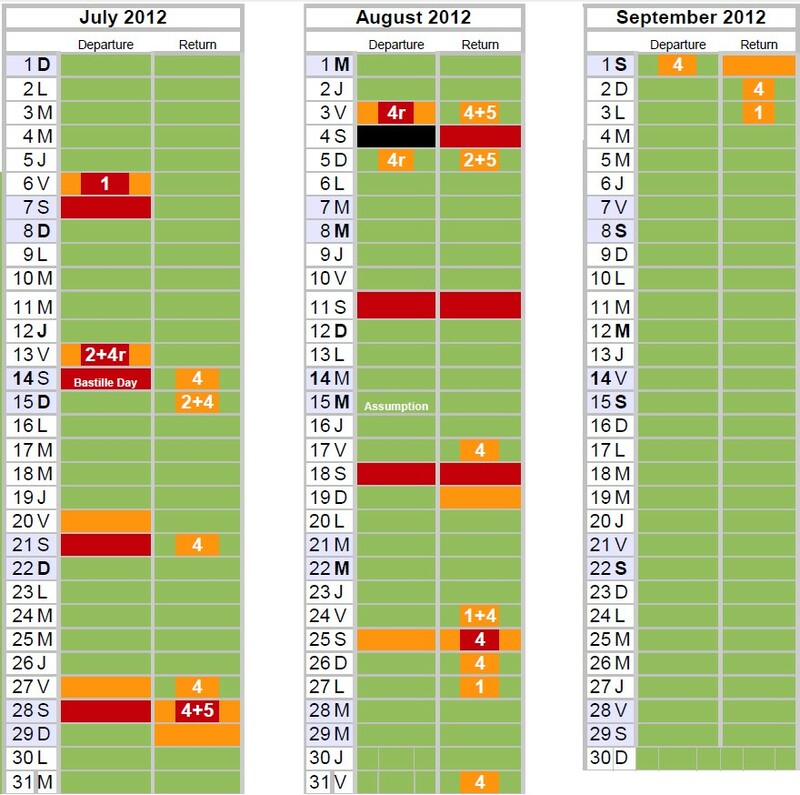 Other really busy days are designated RED (very heavy) or ORANGE (heavy). 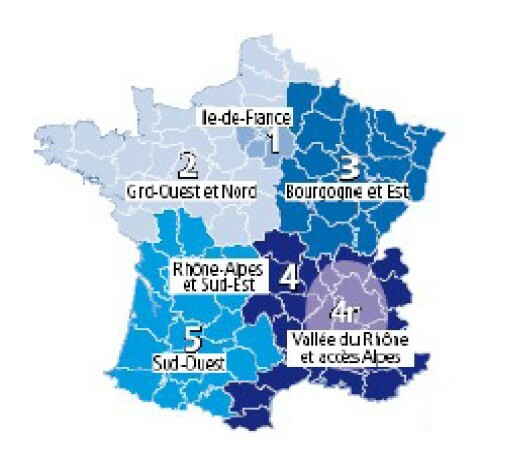 Numbers indicate conditions that apply to particular regions – so tomorrow Saturday 28th July is a red alert for people leaving and returning in all regions, but a particular red alert for people returning to regions 4 and 5. Check the Bison Futé site for traffic updates!